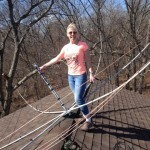 Anne, KC1ANA, installs her new hex on a Rohn 25G against her house. 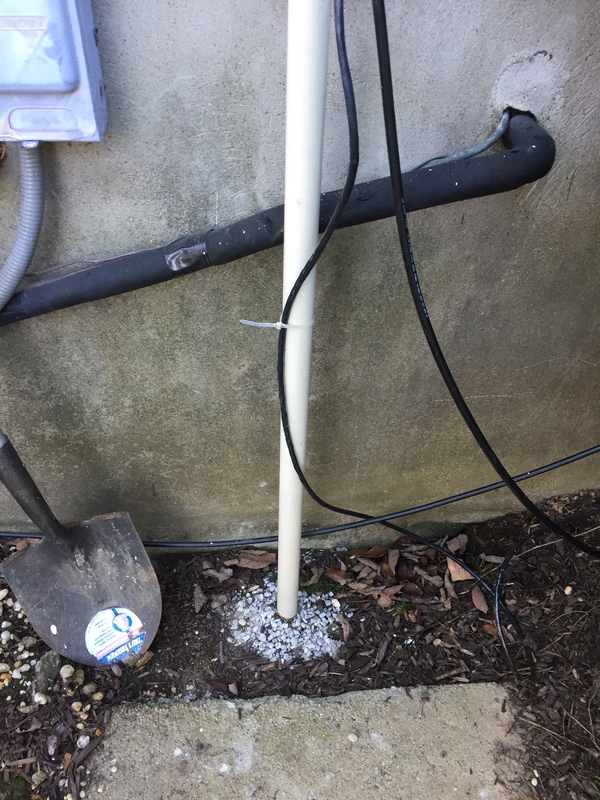 Her husband, James, W1CSI helped. 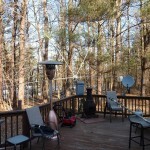 View from the front of house. 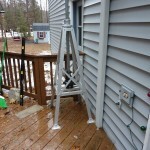 Note the ice cords. 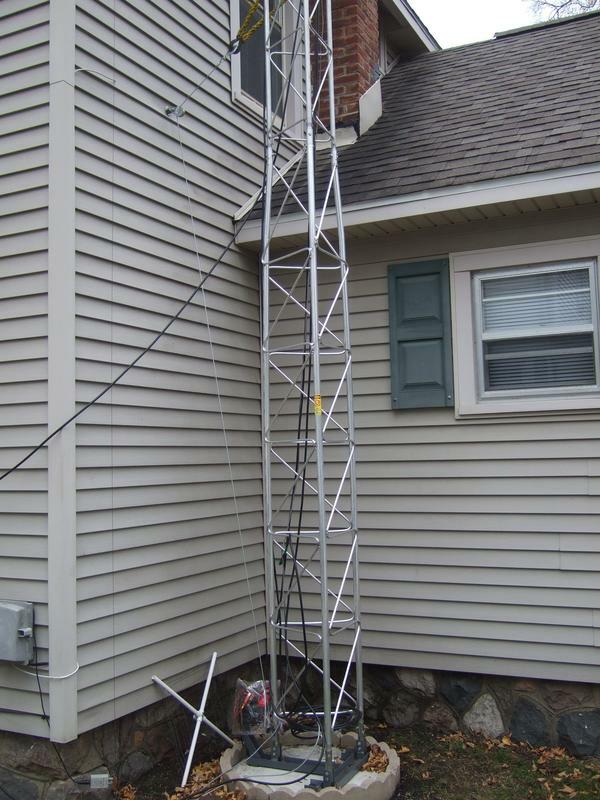 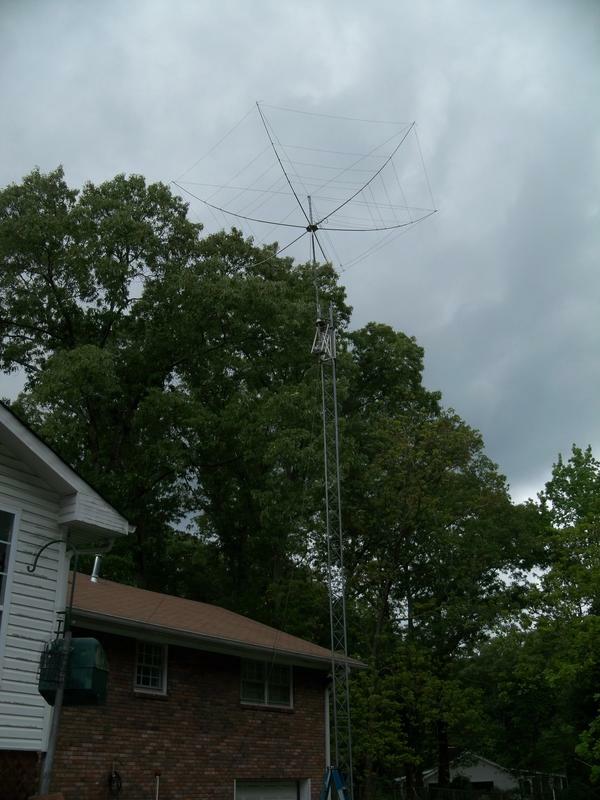 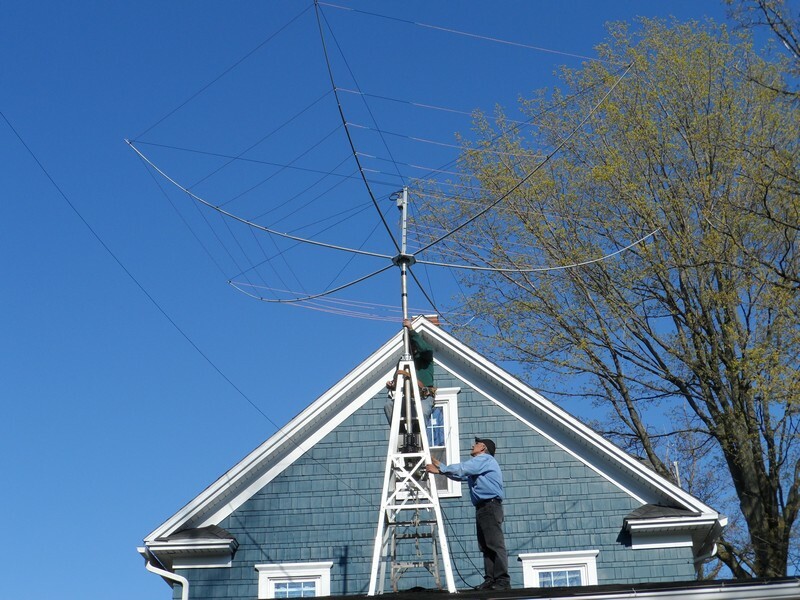 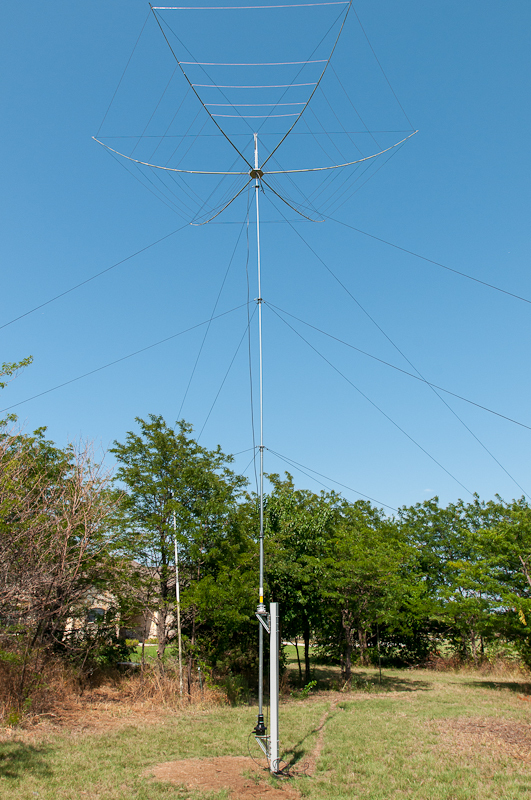 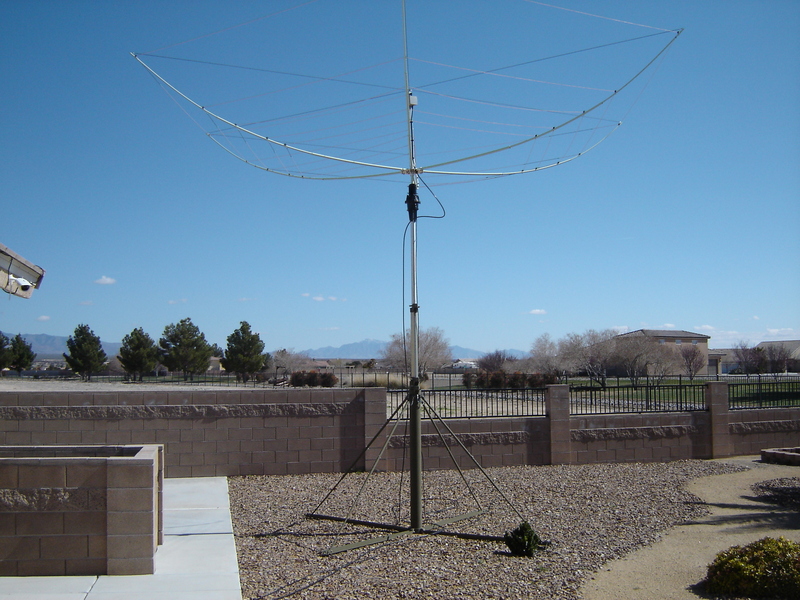 K4KIO uses a 30 foot push up mast with a thrust bearing and Yaesu G-450A rotator. 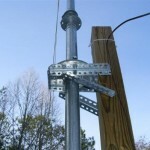 Both are mounted to a 4 X 4 post with home brew brackets. 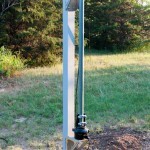 This bracket is easily made from inexpensive aluminum stock. 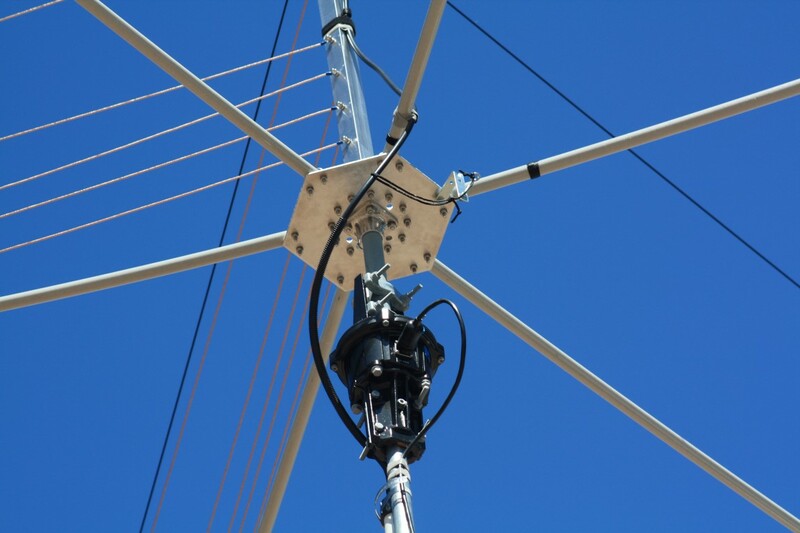 The thrust bearing keeps the mast vertical, allows it to rotate, and supports its weight. 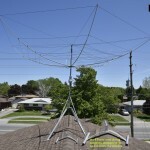 KW6J assembled his beam on the roof. 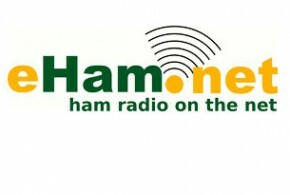 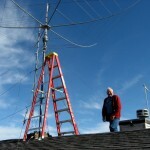 Then with the help of an 86 yr old ham friend, mounted it on a short push up mast. 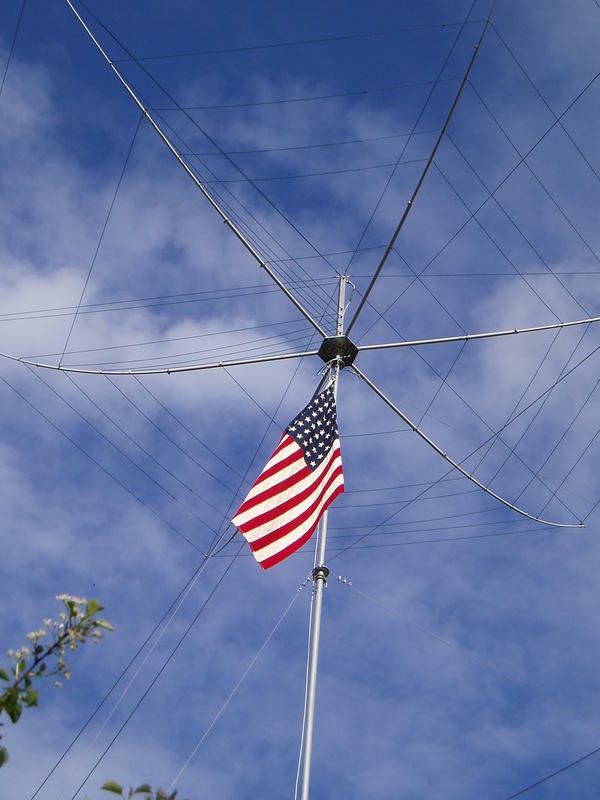 A good way to display your love of country with your hex at K7STD. 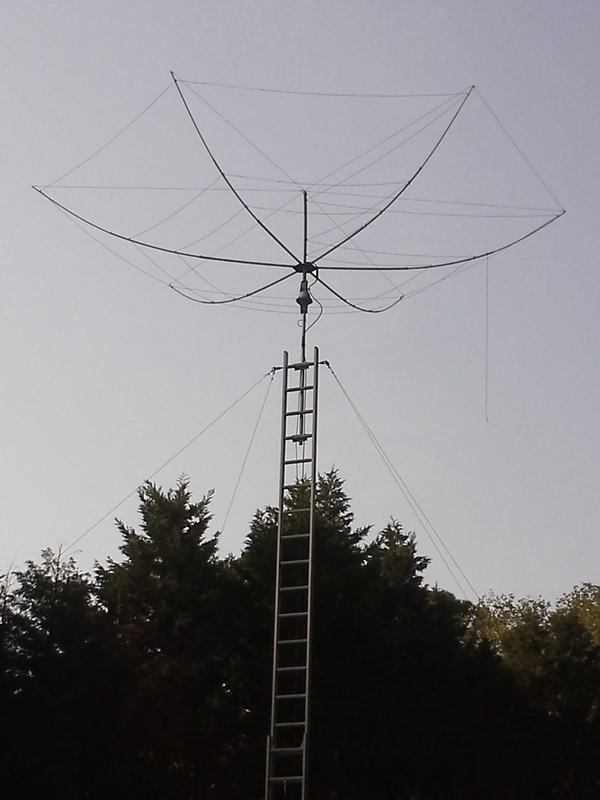 She named her hex, “Samantha,” after the witch/hexer in the show, Bewitched. 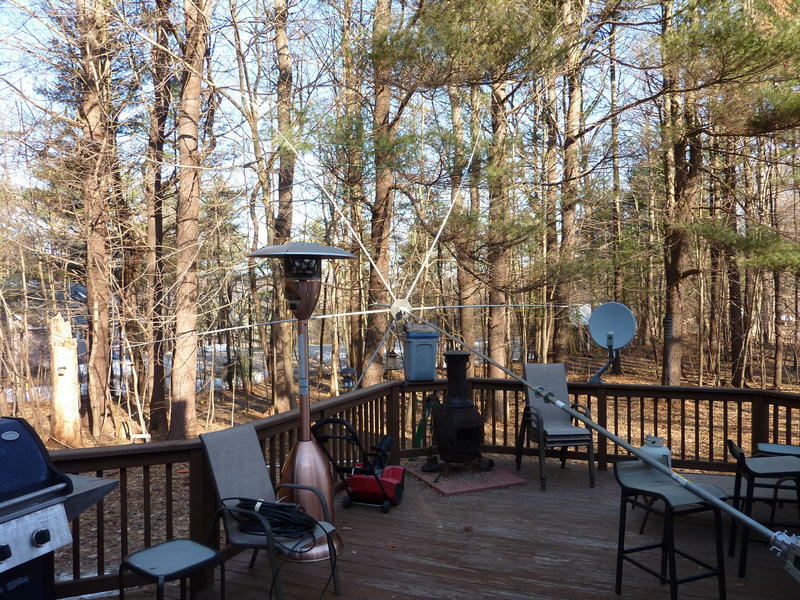 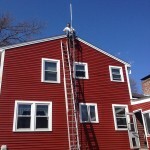 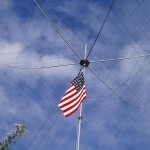 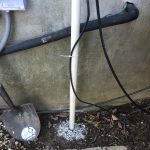 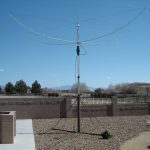 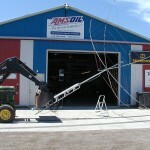 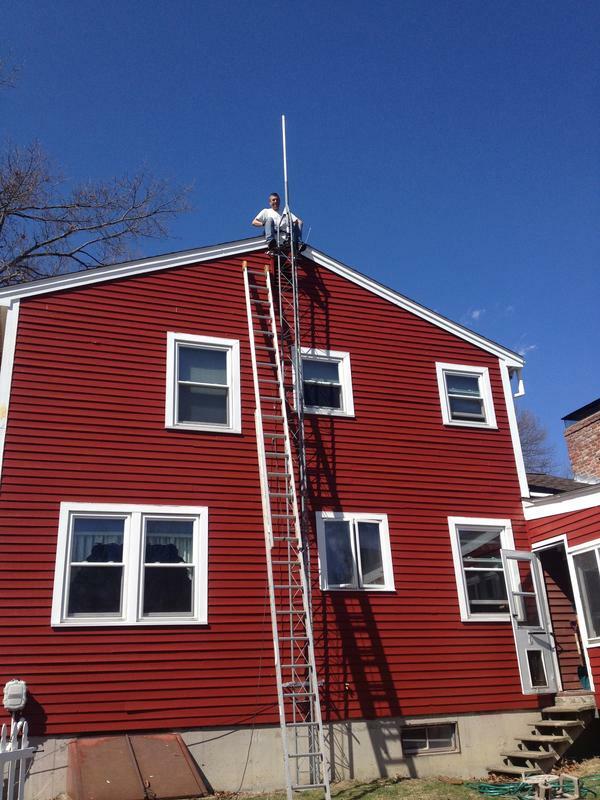 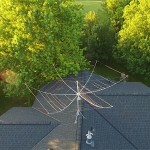 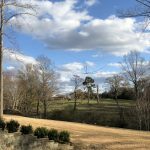 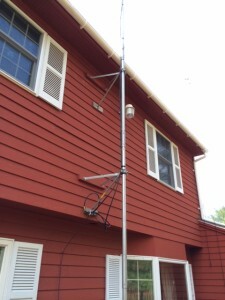 KE1Q has developed a way to build a 50 ft mast using EMT tubes from Home Depot and his Bend-Gard hardware. 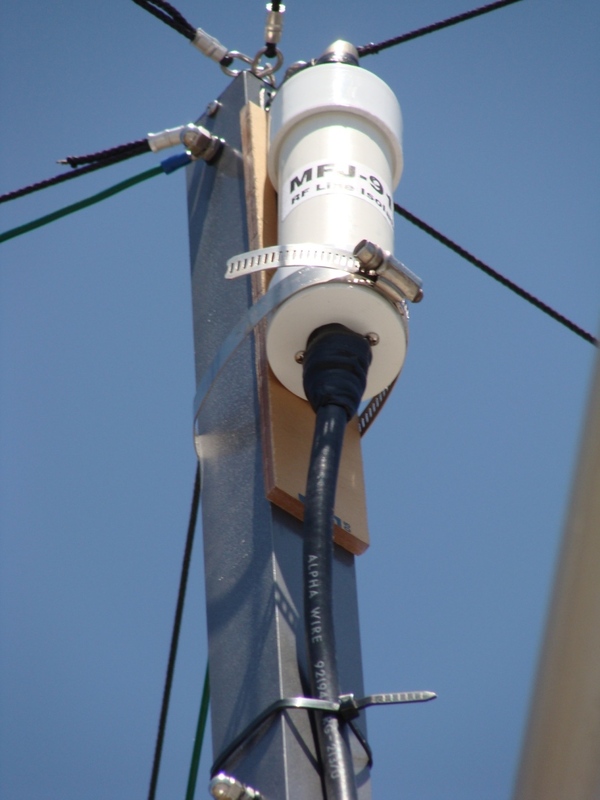 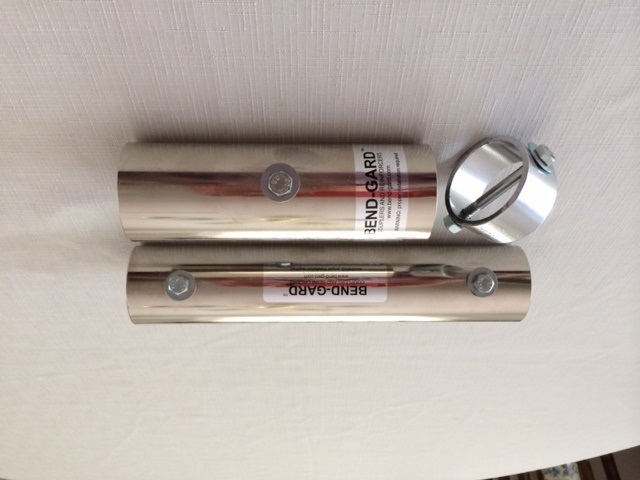 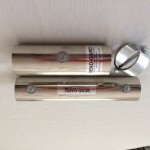 Check out the Bend Gard devices for building your mast using EMT tubing. 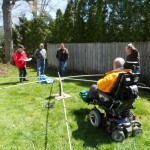 W8JER shows how a Rohn tower can be winched up from a tilted position. 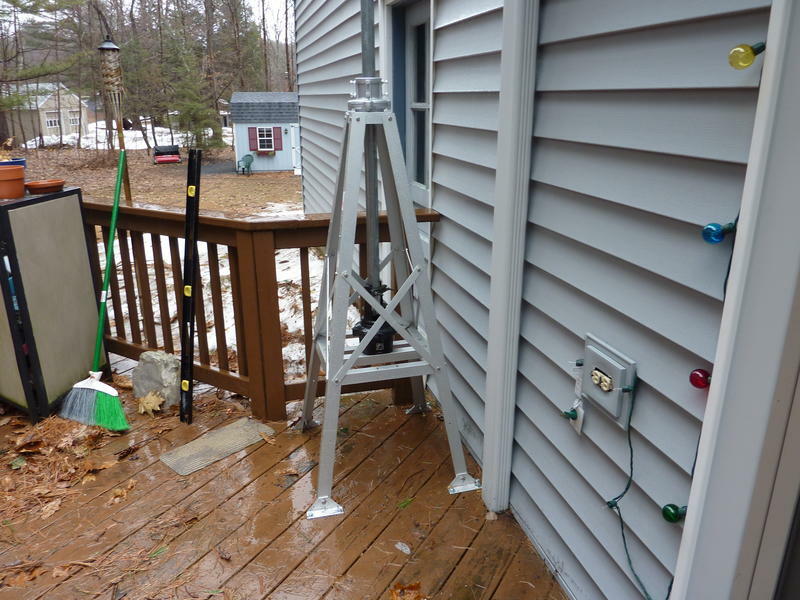 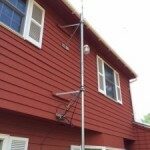 W1JWC uses a roof mount tripod bolted on his deck as a foundation for his push up mast. 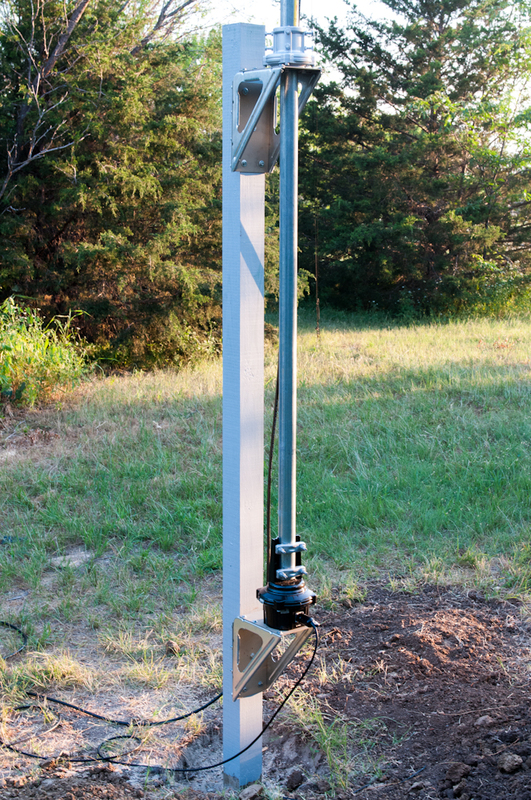 Note the thrust bearing at the top of the tripod. 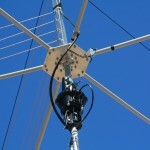 The thrust bearing allows the mast to turn in the tripod and bears the weight of the mast and the antenna. 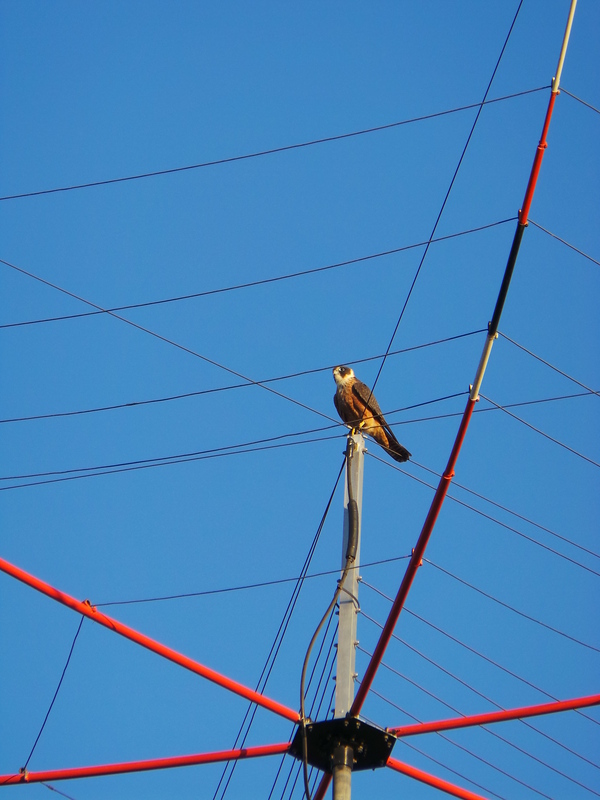 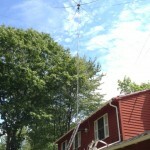 The mast is also guyed up higher. 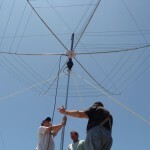 K4RVN uses the Glenn Martin Hazer system to raise his hexagonal beam to the top of the tower. 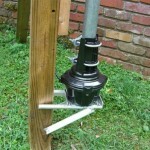 This is a mini-elevator that raises the beam up and down the legs of the tower by hand or by an electric motor. 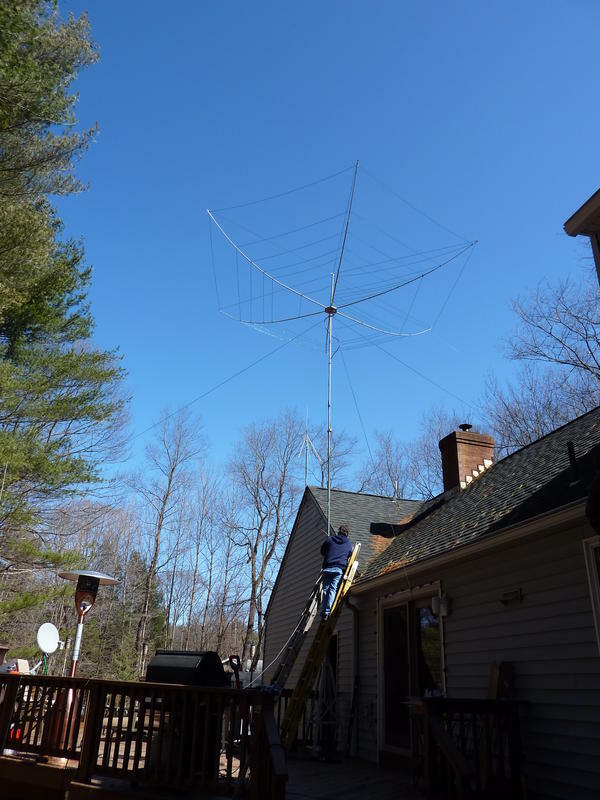 He had to move the rotator base plate out a little further on the Hazer than normal so that the hexagonal beam spreader arms cleared the legs of the tower but reports that it works great. 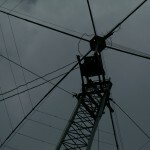 You don’t have to climb this tower to get to the hex. 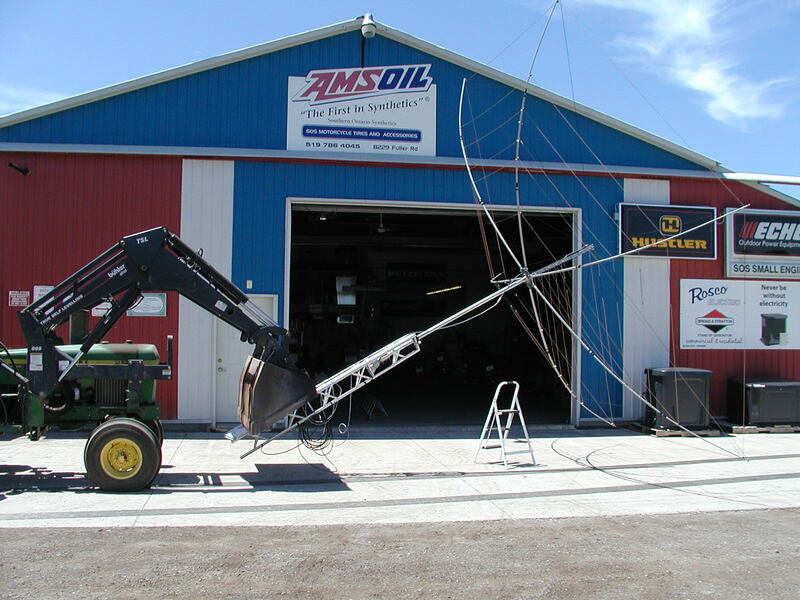 Just lower it on the mini elevator. 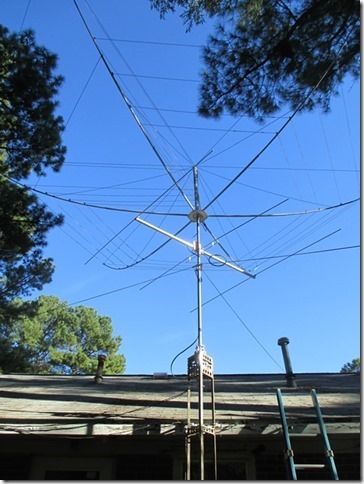 Another idea of how to use the Hazer is on AI4JU’s QRZ page. 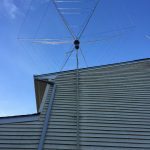 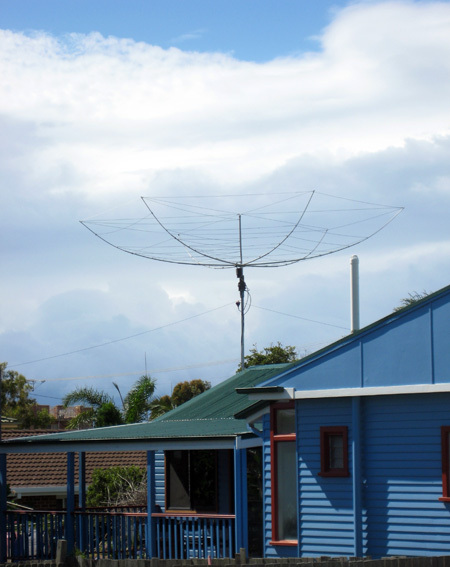 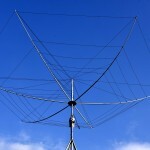 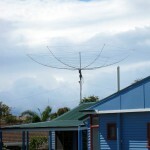 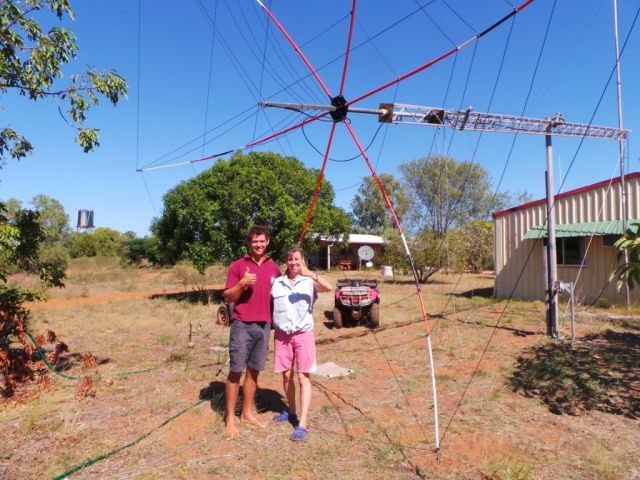 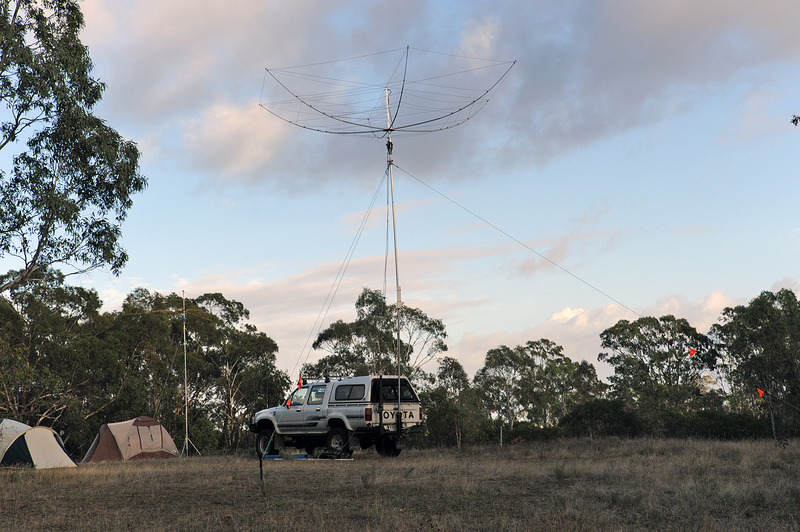 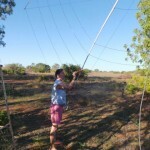 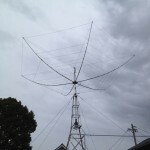 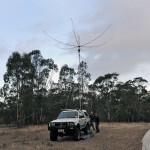 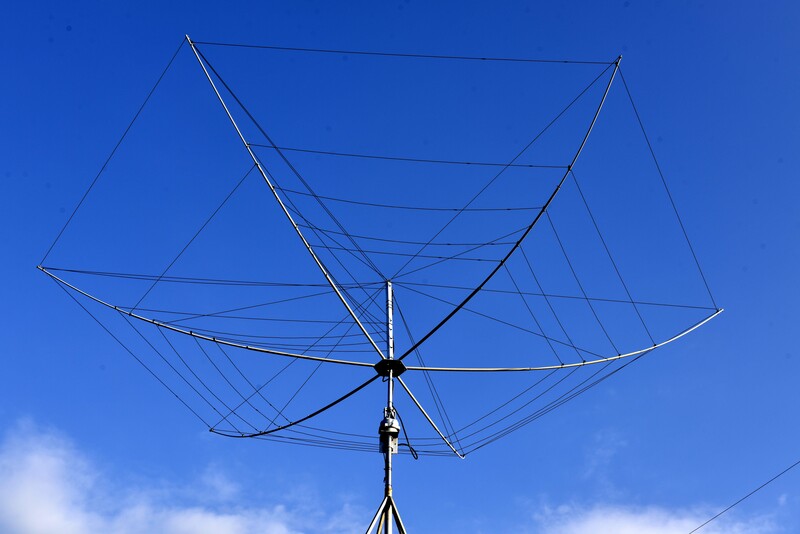 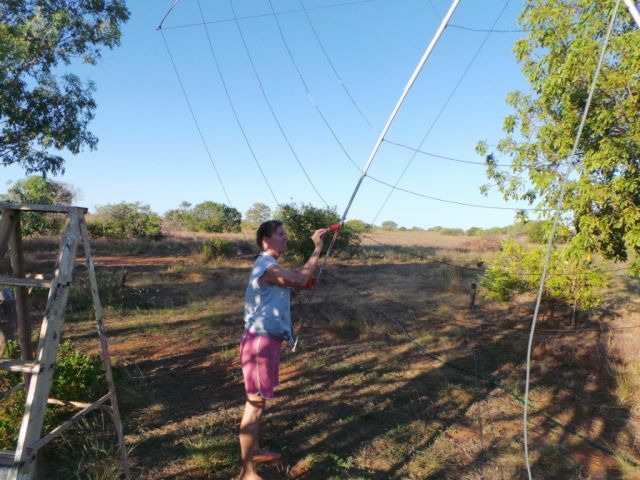 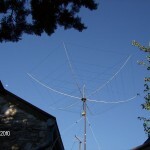 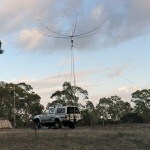 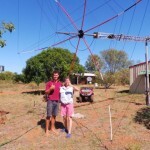 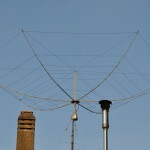 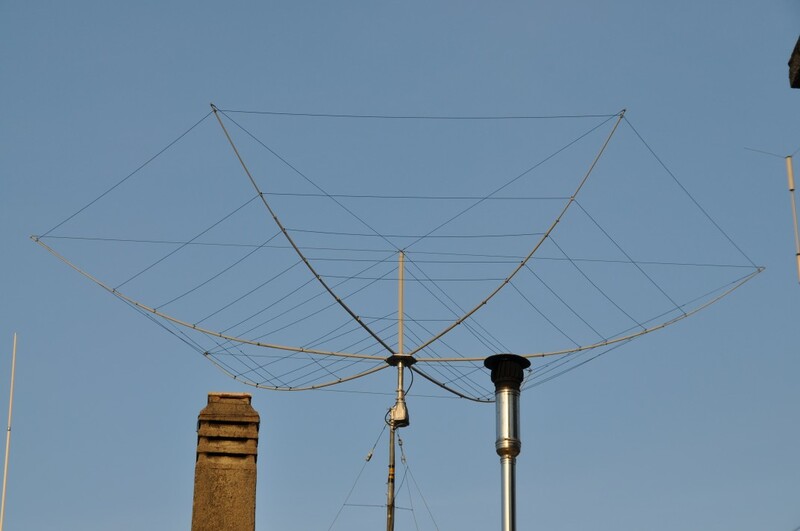 VK5ZM installed the beam off the back of his camper in South Australia. 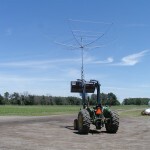 It’s temporary of course, but shows how a field day operation could work. 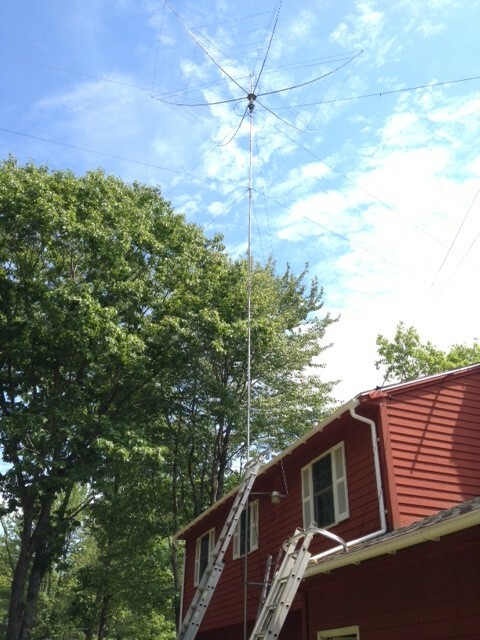 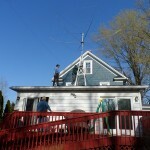 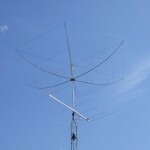 9A3VV uses a push up mast and a TV rotator. 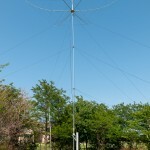 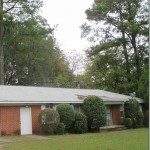 K2EDW uses a Glenn Martin roof tower. 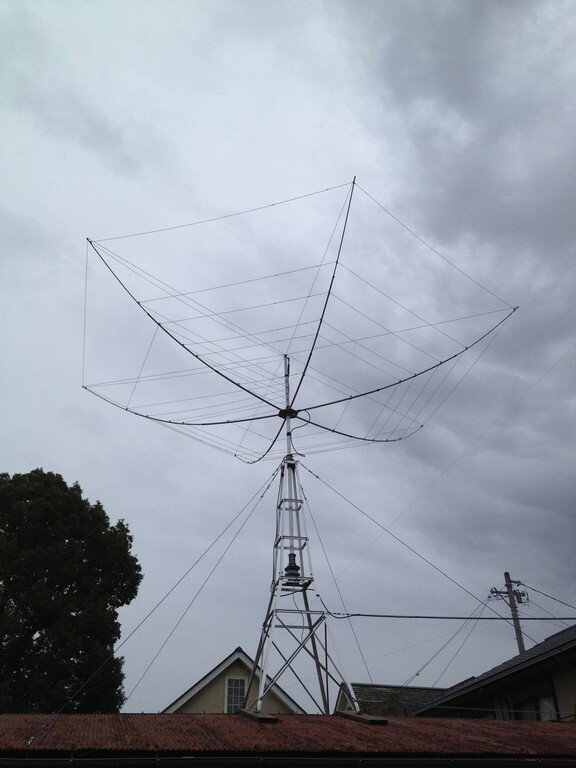 Notice the thrust bearing at the top and a Yaesu rotator nested below. 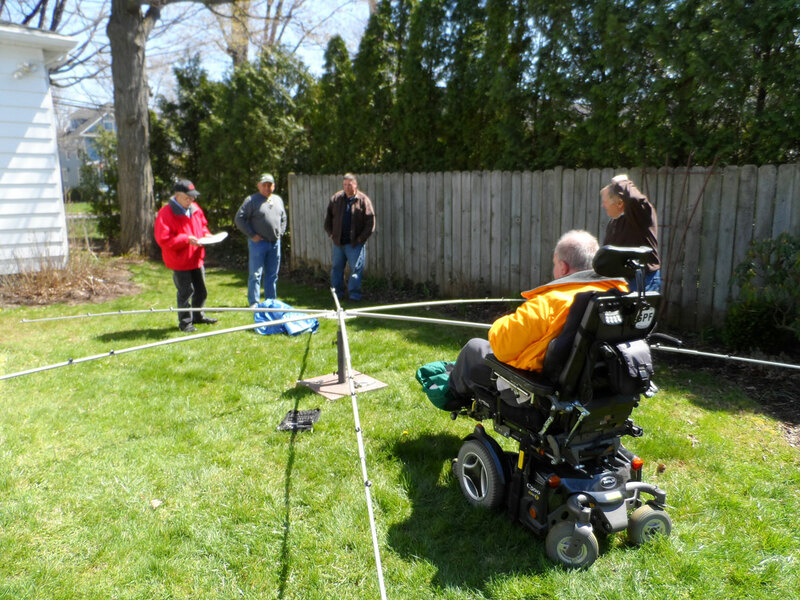 He suffers from MS, but oversees friends helping assemble and erect the Hex. 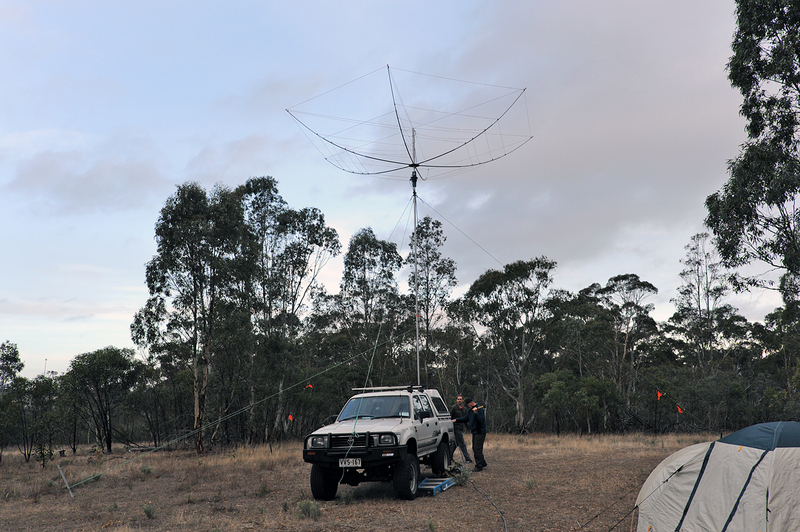 K5CJL does a classy job with his push up mast and Yaesu G-450A rotator mounted on a 4X4 post. 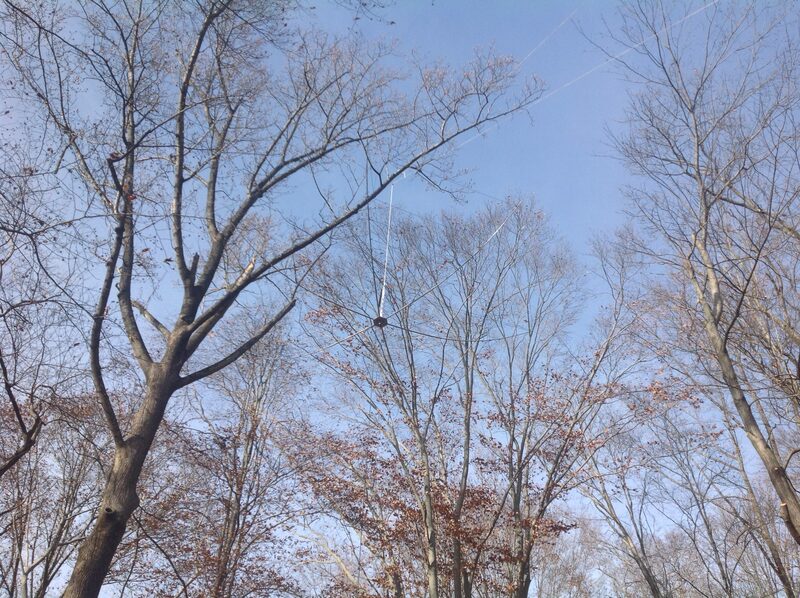 Notice the guy ropes every ten feet. 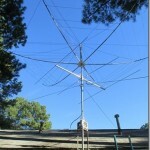 ZS6RJ uses a small Radio Shack type rotator. 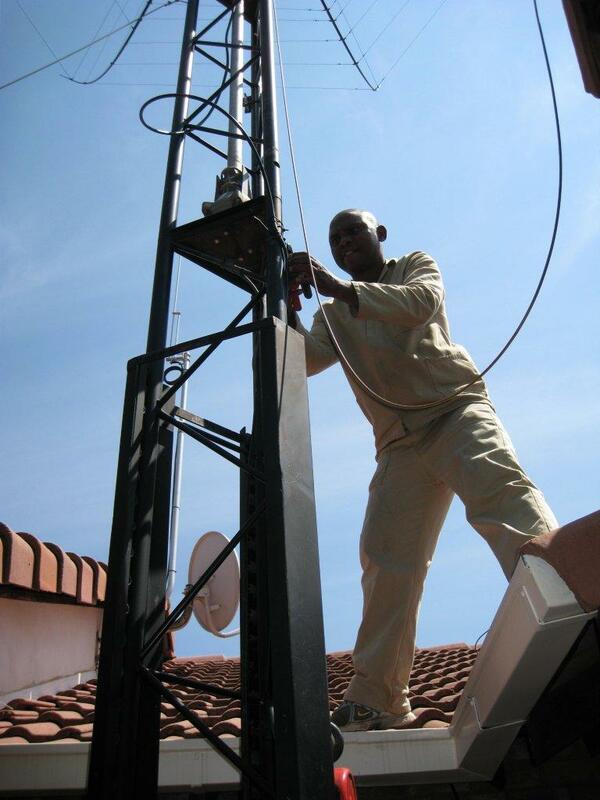 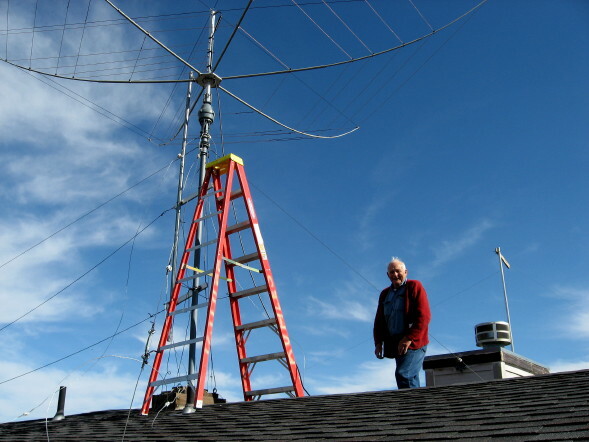 KG6PRO has mounted his rotator at the top of a push up mast. 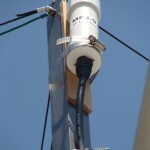 Note his use of a MFJ choke balun strapped on the center post and the good job of sealing the coax connectors. 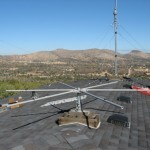 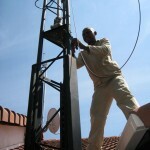 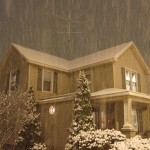 KE0GYE uses a very simple roof mount and TV rotator. 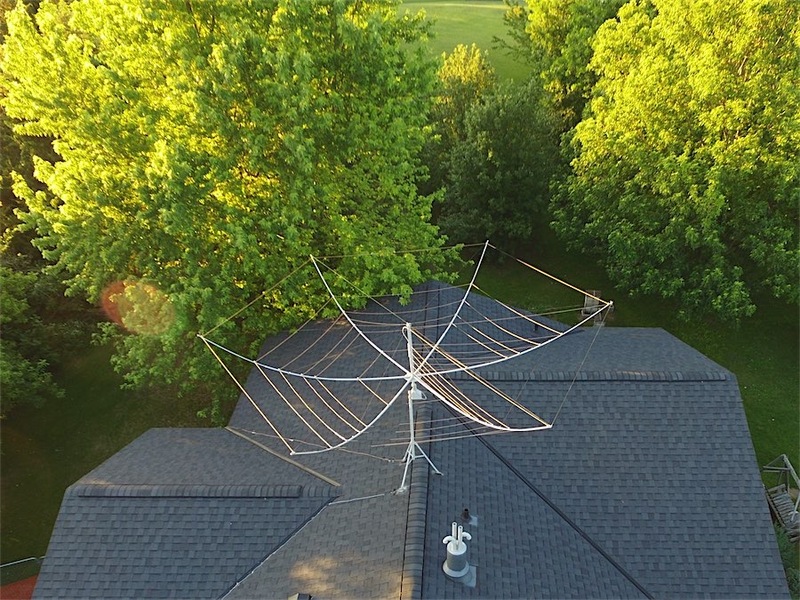 His drone captures a bird’s eye view. 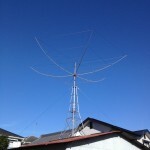 JE2FUP has a roof-mounted hexagonal beam. 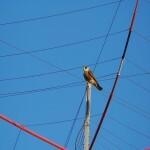 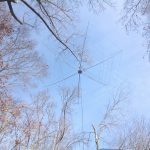 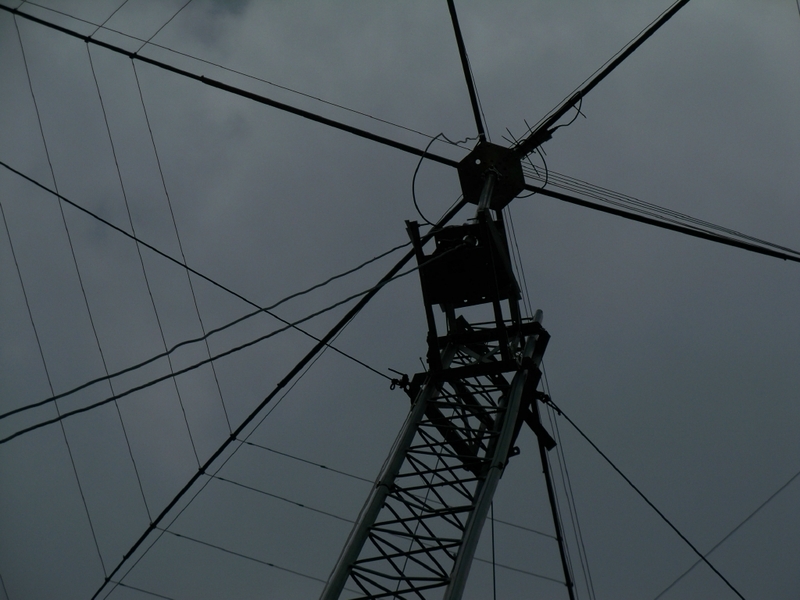 His rotator is nested down inside and he has guyed the structure against wind gusts. 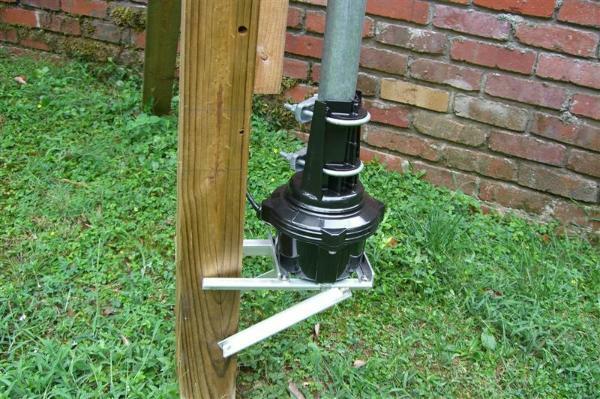 Note also, the footing that protects his roof from the legs of the mini tower. 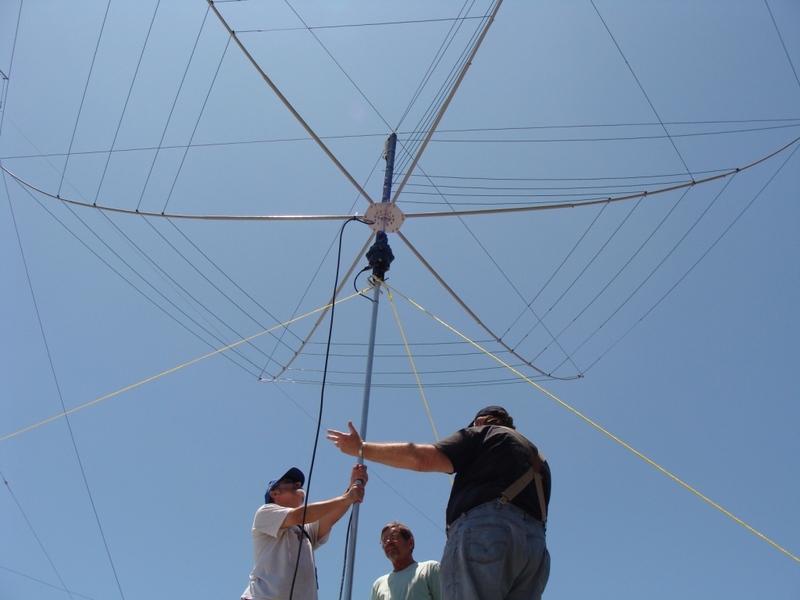 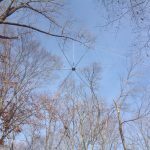 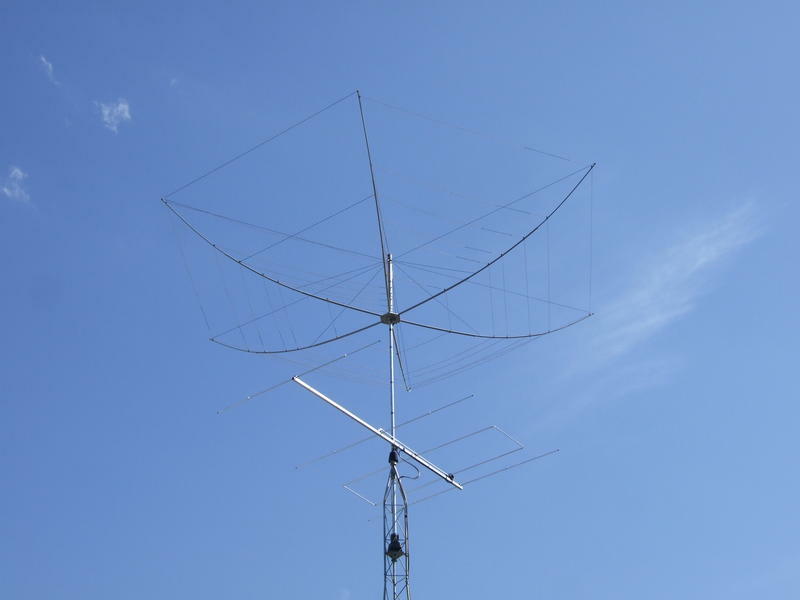 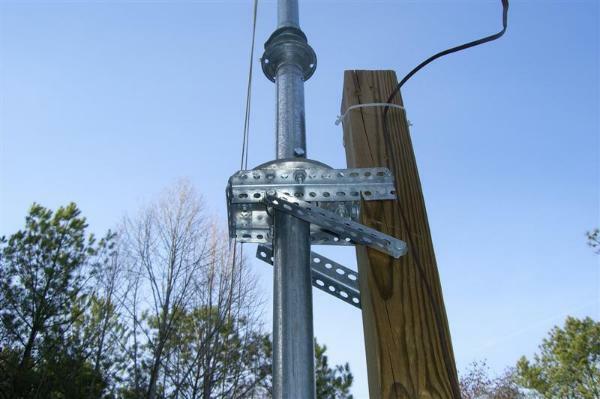 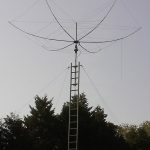 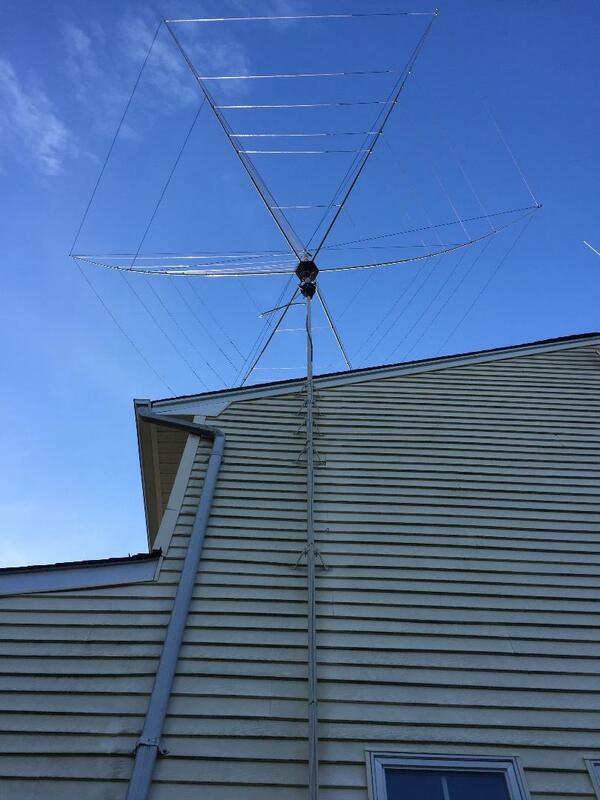 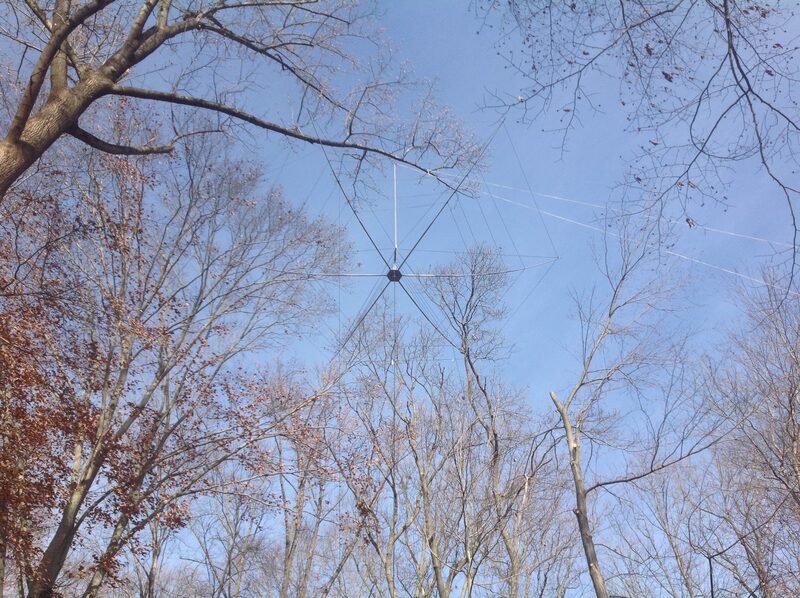 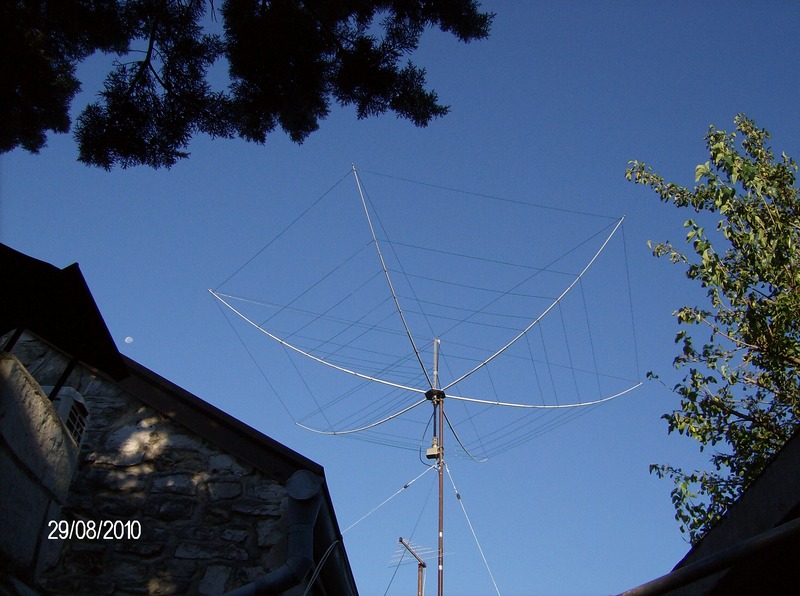 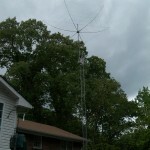 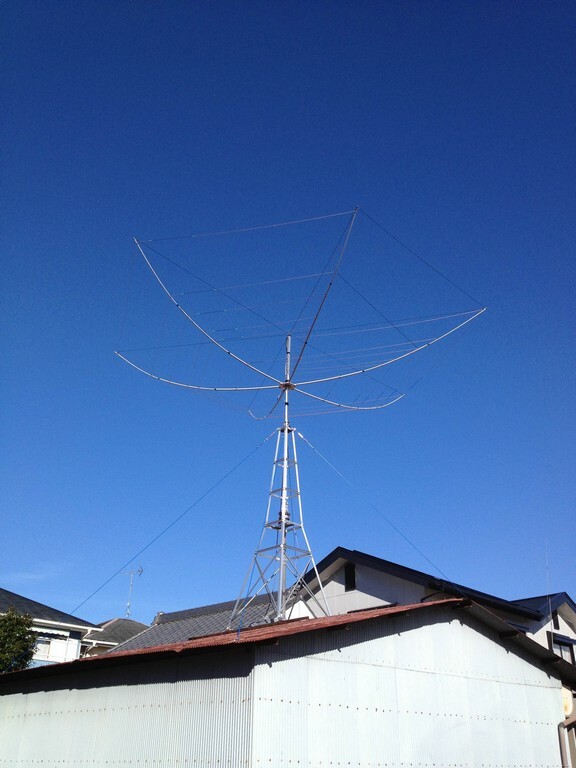 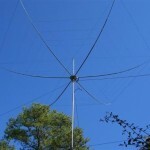 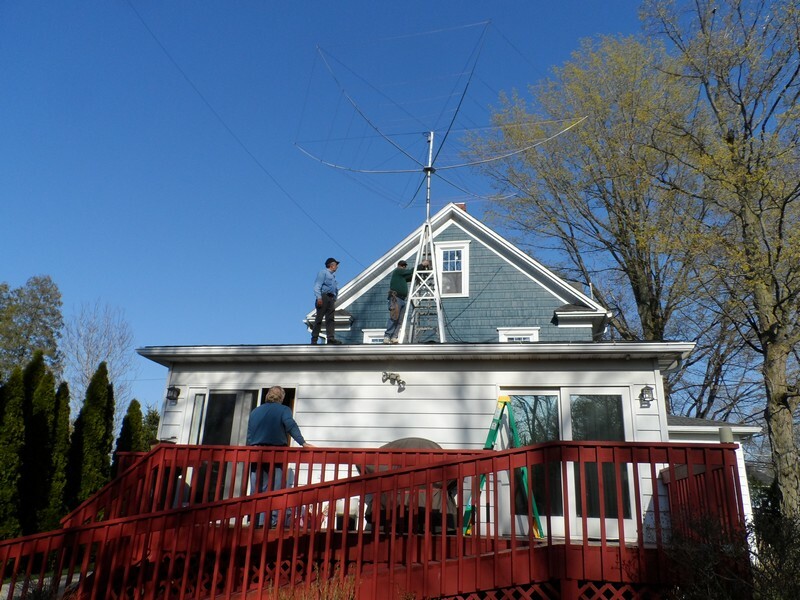 IK2WPO uses a small rotator on a guyed mast to support his Hexagonal Beam by K4KIO. 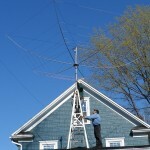 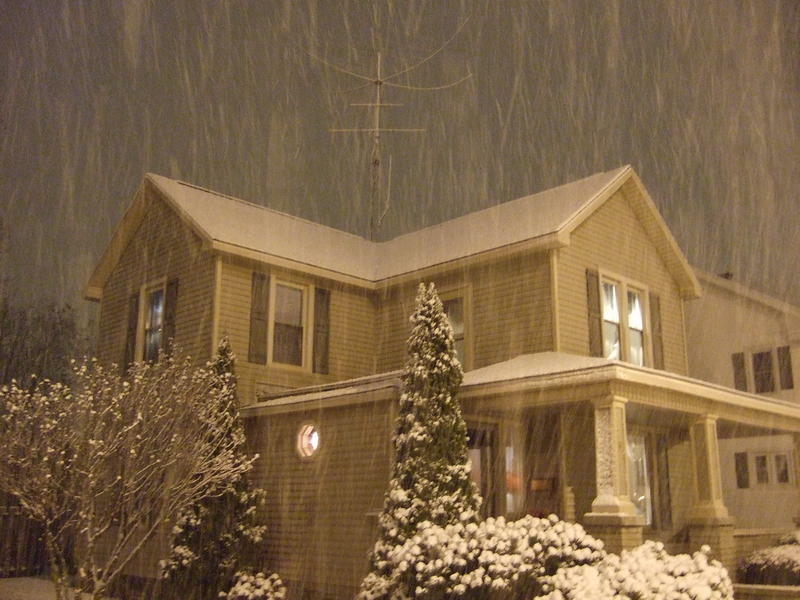 VK2GJC has a rotator mounted at the top of his mast which is attached to the side of his house. 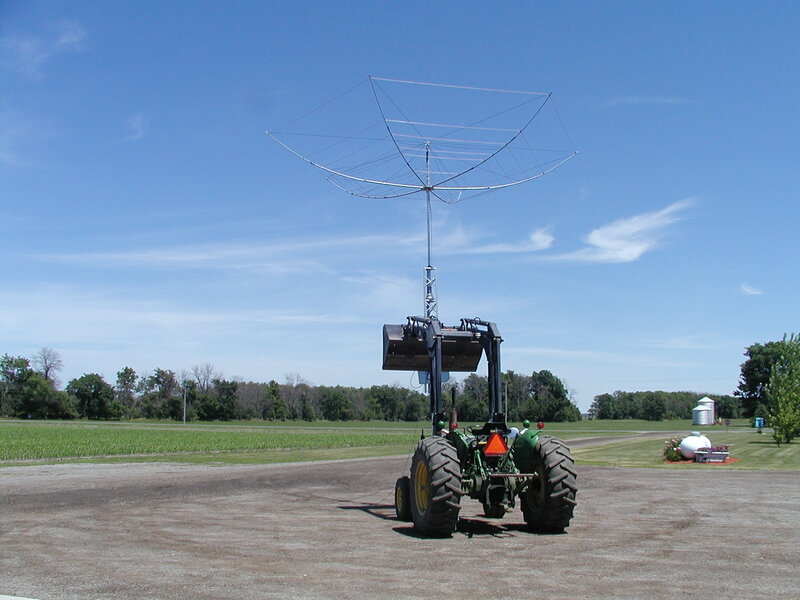 If none of the above support arrangements seem to fit your situation you can just buy a front end loader as VA3KBC has. 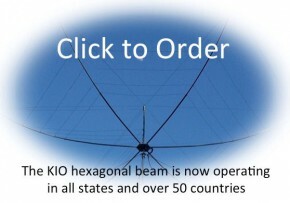 Actually, that was a temporary thing for getting the beam on a conventional tower. 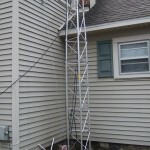 WB4PMG uses an extension ladder for a tower. 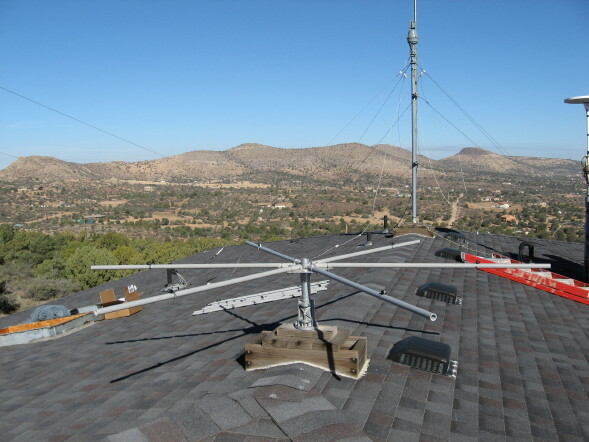 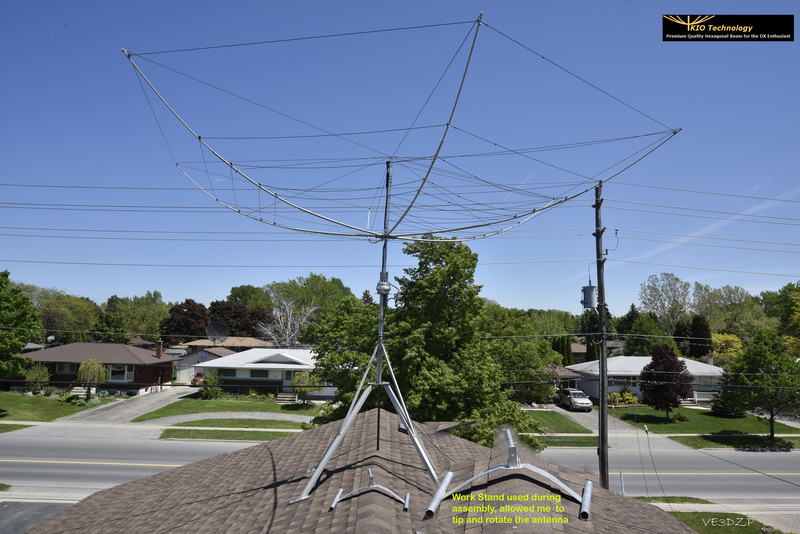 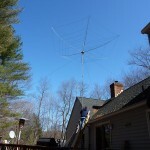 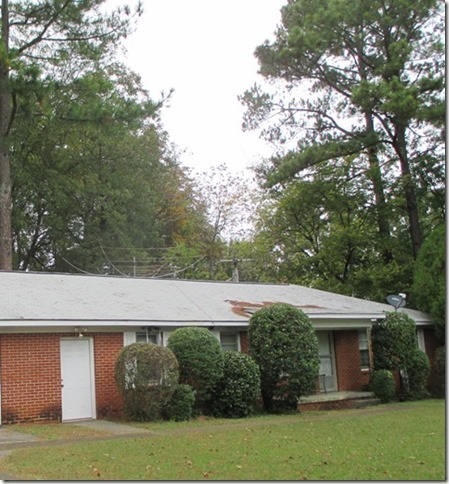 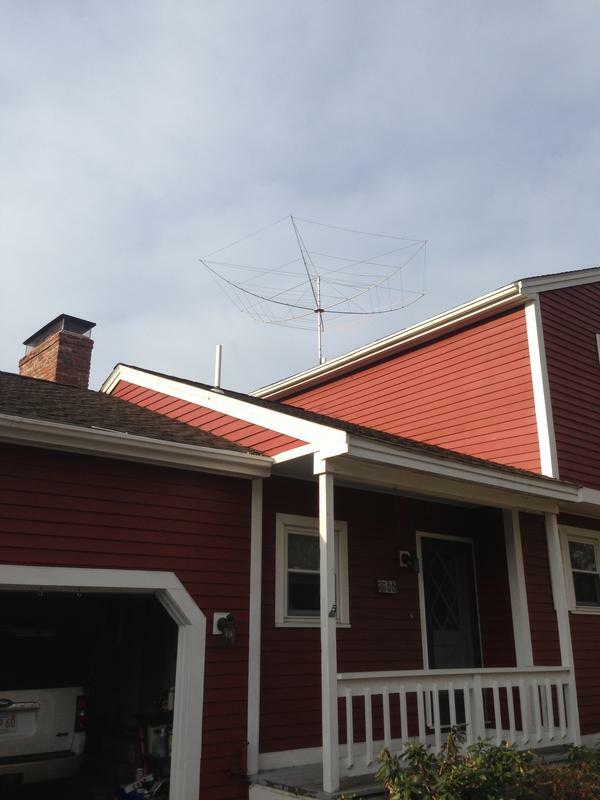 W7LAS anchored his hex installation on a flat roof. 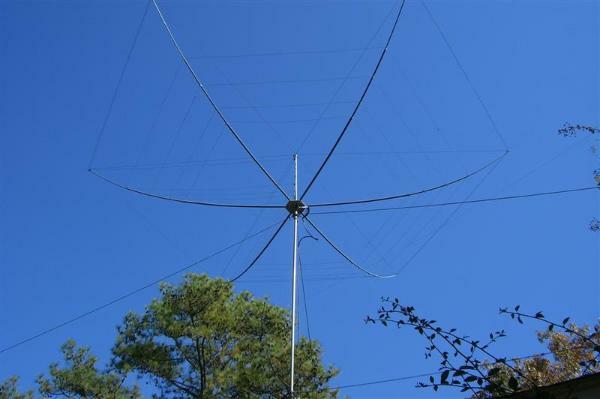 KD2ECG has his hex mounted against the house with a rotator at the top. 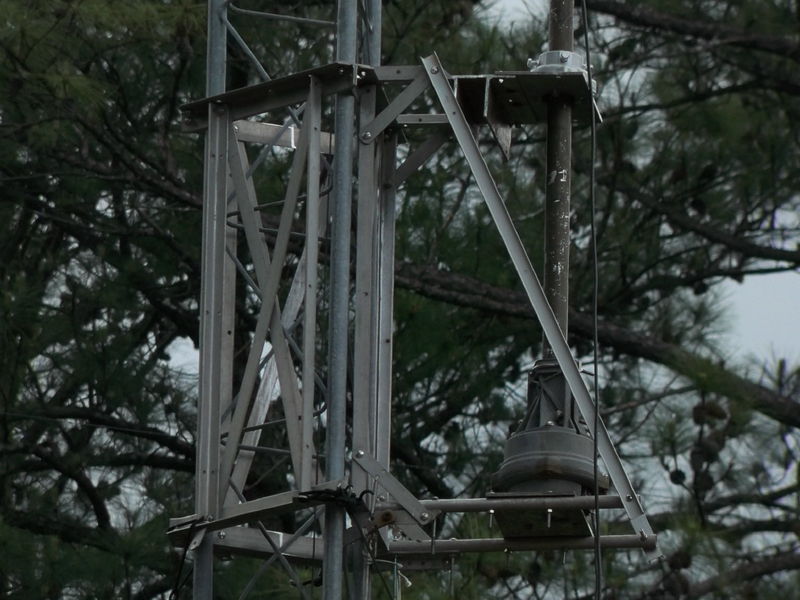 Here is how it is anchored at the bottom. 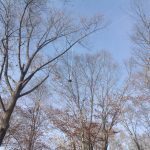 WC3N hangs his hex from a tree limb. 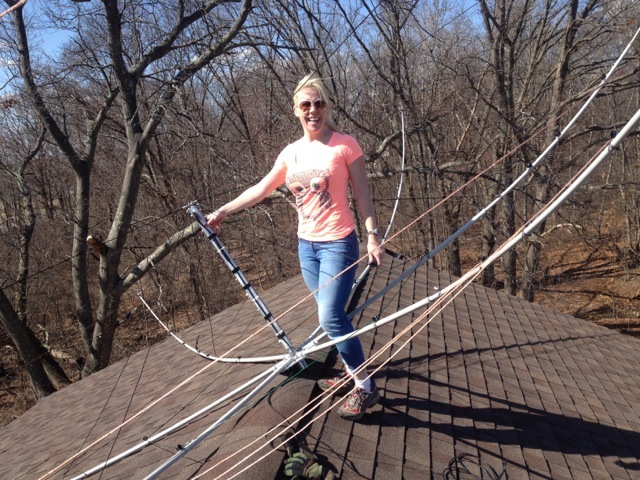 It’s 60 feet up. 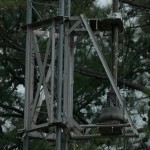 He rotates it by ropes from below. 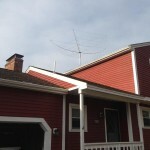 Contact him for details. 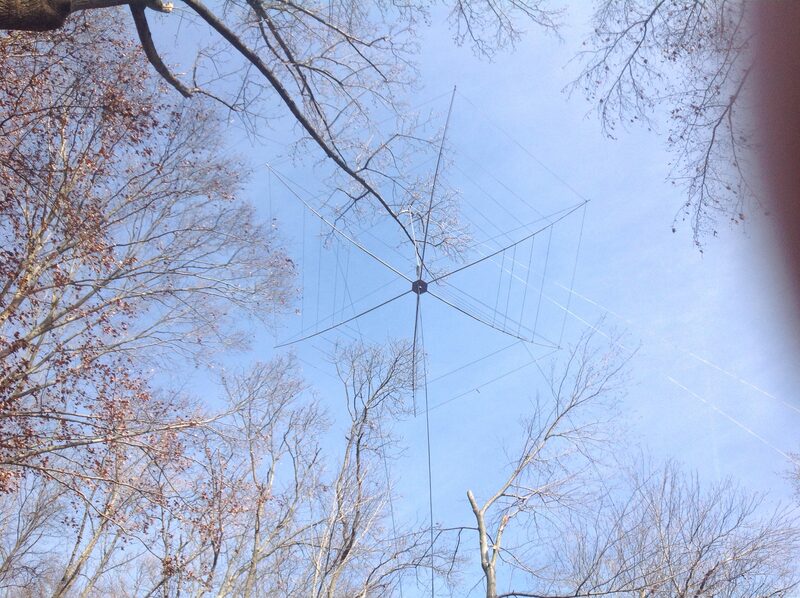 Here is another mastless installation hung by ropes and turned manually.